Mahi mahi, also known as dolphinfish, is a large sport fish caught in tropical and subtropical waters. Though mahi mahi is caught all year long, it is most abundant in late spring and summer. It has a mildly sweet flavor and is considered not very "fishy" in taste compared to other sport fish steaks. 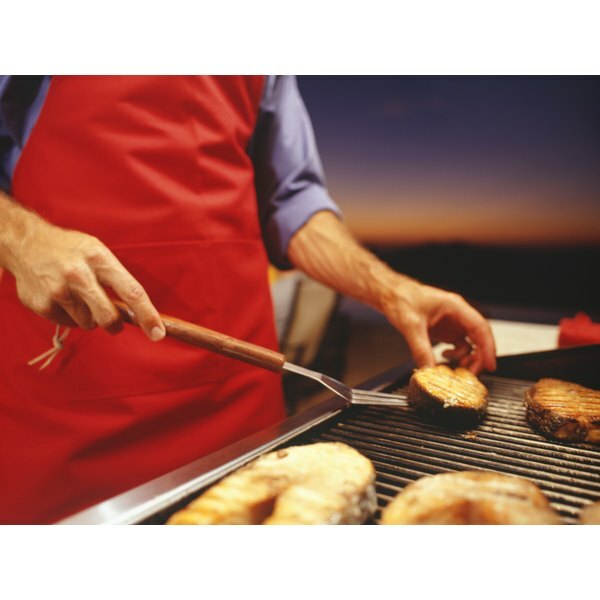 Grilling is a common method for cooking mahi mahi. You don't need to thaw the fish prior to grilling. Heat the grill to medium. Allow grill to get thoroughly warm. Close the grill's lid to speed process up. Pour enough olive oil on a towel to moisten a couple of square inches. Wipe the grill with the oiled towel. This keeps the fish from sticking to the grill's surface and flaking apart. Flavor the frozen fish steak with your choice of marinade or seasoning. Because a frozen fish doesn't absorb marinade as readily as a fresh fish, pour a layer of marinade on top. A simple flavoring might be a light salt and pepper sprinkle. Place the mahi mahi on the prepared grill. Leave the fish on the grill for eight minutes before turning. Watch the bottom of the fish to see how much is cooking through. Nearly half the fish should be cooked by eight minutes. Turn the fish with the spatula. If possible, place the fish on a new part of the grill with a new olive oil spread. Leave on grill for an additional 12 to 14 minutes. 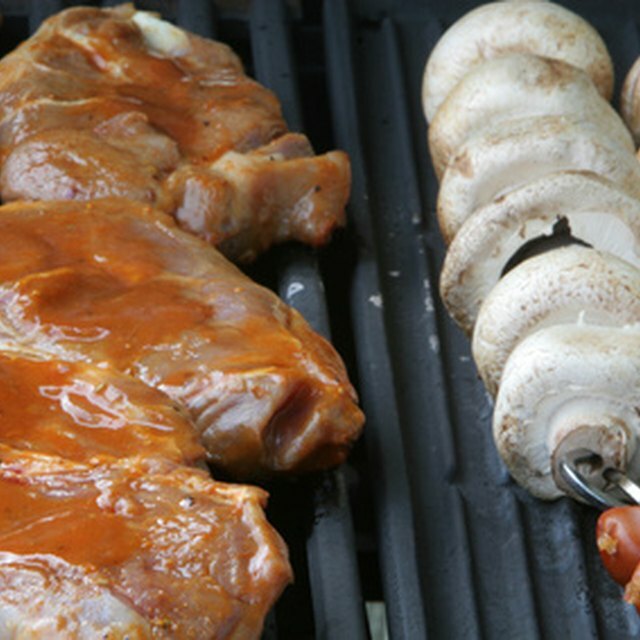 To prevent flaking off, place aluminum foil on the grill to create a flat surface for the fish to cook. Do I Have to Thaw Out Salmon Before I Cook It?